Brilliantly preserved and distinctively located, this beauty is the Maple in the eyes of many! Want to get a taste of the silence nature, away from the bustling lifestyle of the city; the fun of all season is right here. 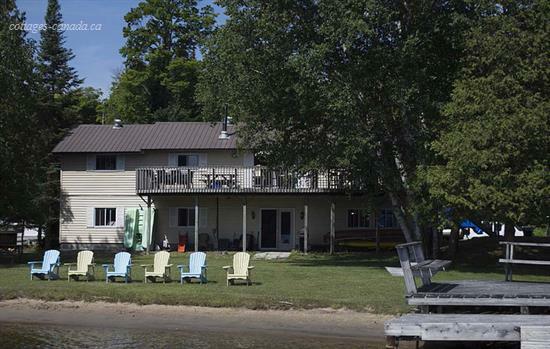 Sandy Maple Cottage is a cozy, spacious, eastern-exposure lake house with a direct access to Algonquin Highlands, as well as Haliburton Lake-front, offering large, private, sandy beach, complete with deck extension. 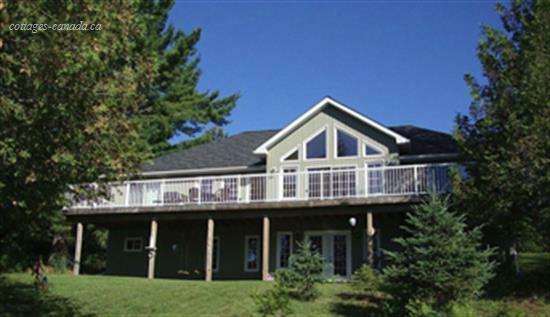 Sandy Maple Cottage is located on beautiful Haliburton Lake with crystal clear water in Algonquin Highlands. The cottage is a spacious open concept on maple-wood flooring with over 3,300 sqft of interior space. The living room has walkout sliding glass doors onto the spacious deck looking over Haliburton Lake. With its fully equipped kitchen, 5 spacious bedrooms (complete with 3 Bathrooms) and laundry (weekly rental only), is capable to accommodate 10 people comfortably, for friends and families to enjoy this oasis on your own privacy. For the great outdoors activities, our cottage is also equipped with things for you to enjoy a perfect summer, e.g. a hammock, canoe, kayak, paddleboat, wood burning fire pit and more. With its perfectly clear water and no weed condition during the summer time, it?s perfectly safe for children or any ages, your whole family can enjoy a perfect cool day in the water swimming or even fishing along the shore. And for the winter, with a direct access to Haliburton Lake, there is a vast amount of open terrain with virtually unlimited access to snowmobiling and etc. If you start getting exhausted after days of the great outdoors, a pool table in the middle of the living room can also be converted into a ping pong/table hockey, which will keep you entertained for hours, day and night. Additional charges may apply on Long Weekend, Holidays, and due to the nature of extra request from guests. Sandy Maple Cottage reserves the rights to make final adjustments on availability, rates and details without prior notice.